Compass Box Hedonism was first released in the year 2000, and it was the first of its kind – a blended grain whisky. 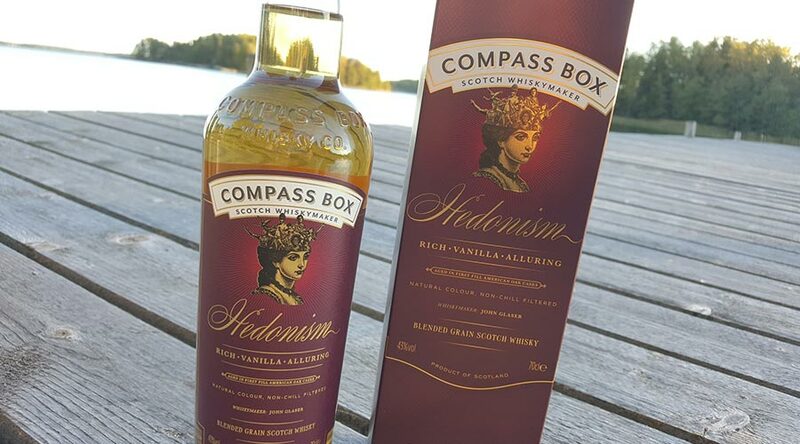 Another innovation by the tireless innovators from Compass Box. This small independent bottler has really been a pioneering facet in whisky industry, they’ve even managed to upset Scotch Whisky Association (SWA). You can read the story from here. The batches are all unique and variations will occur, but I’ve read that Compass Box Hedonism has even had some 29 year old Carsebridge grain whisky – giving it depth and complexity. Also some 18 year old Cambus and 14 year old Cameronbridge providing a sweet fruity structure. So there’s been some serious age statements involved in this whisky. Like said, batches will vary according to batch, but typically whiskies from Cameron Bridge, Carsebridge, Cambus, Port Dundas or Dumbarton distilleries are involved. The blended grain whisky is matured in 100% first-fill American oak barrels or rejuvenated American oak Hogsheads. Hedonism is made only once a year. Hedonism is really like its name, full of enjoyment. It’s light, yet characteristic. It has nice layers and even complexity, an aperitif whisky. And being a blended grain whisky, it’s rancid – like a hedonist should be. This blended grain whisky brings Don Juan DeMarco into my mind. 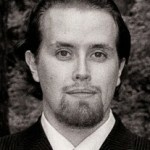 It is like the character of Johnny Depp, claiming to be Don Juan, enjoying life. The movie also has Marlon Brando, who’s surely had his share of enjoyment in life. 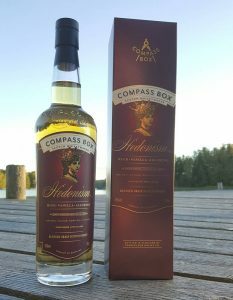 Amazingly, Compass Box Hedonism has “only” gotten 2nd place prize in Best Grain Whiskey category in 2015 International Whisky Competition. I’m not a big fan of grain whiskies so I would’ve guessed this smooth operator as the winner in Best Grain Whisky category. Nose: Surprisingly the nose gives you stingy grainy feel, which is fortunately not present in the taste. Usually grain whiskies can give away nice aromas but blow their cover on the palate. Nose is definitely the weak link with bit too much of grainy alcohol notes. Strong with new oak aromas. Paint chips and moonshine. This was the first impression but with time it mellows down, giving some nice honey and corn. Taste: Vanilla and candy, creamy toffee taste is very good. Some coconuts and oak. Vinegar and citrus. Smooth and full of character, amazing grain whisky. Finish: The best part of this whisky – no grainy aftertaste! Quite short but good set of polka candy sticks and caramel fudge with vanilla and roasted sugar. Balance: Really nice aperitif whisky. Aromas give you bad forecast of what’s coming but fortunately the bad grains go away, giving space to good taste and aftertaste.